What is a Wisconsin Last Will and Testament? 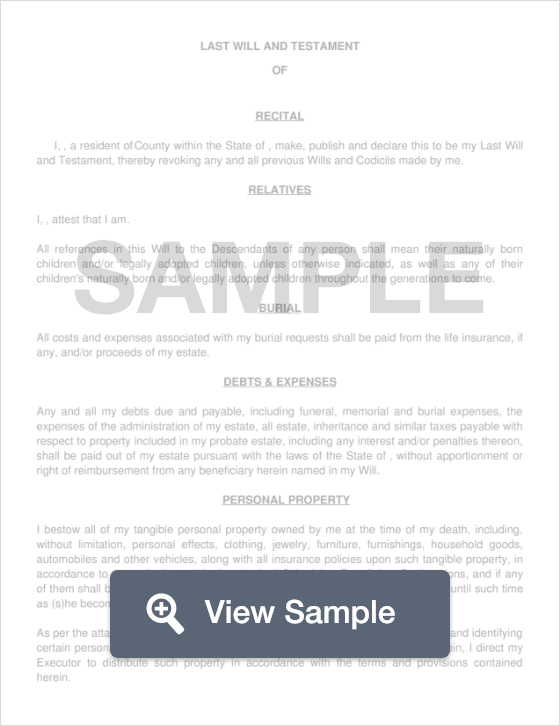 Wisconsin Last Will and Testament: What Is It? In the state of Wisconsin, a Last Will is a document that clearly expresses a person’s wishes as to what they want to do with their assets, belongings, and property once they pass away. For example, this document can allow their a Testator’s children to inherit their entire estate, specifically naming who receives what, without worry that someone may come in and take the assets. Furthermore, these documents are legally enforceable, as long as the law is followed. In Wisconsin, a Last Will can be held up in court as long as it is notarized and signed by two witnesses. Each state has its own set of laws, definitions, and signing requirements that relate to last will and testament documents. Below, these specifics are defined for the state of Wisconsin. Witnesses - According to §853.03, the Will must be signed by two (2) Witnesses.